Welcome to The Habitat for Humanity ReStore! 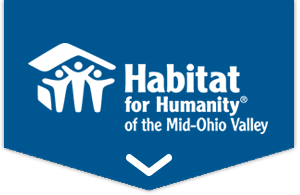 The Habitat for Humanity ReStore is the bargain home improvement store that helps you improve your home from ceiling to floor. You will find furniture, appliances, building materials and many other items for your home at prices that are far below retail. Most of our items are used, but you will find them to be in good shape. We accept furniture, appliance and building material donations and are able to pick up donation items that you can’t drop off at the ReStore. The ReStore is located just off the corner of Grand Central Avenue, on 16th Street in Vienna. Stefanie were you looking for some? JoAnne Newsome Peach Mugrage what about these for around the walls at the VFW?? Bryan Melissa Dailey need or know a church that does ? "No Janet, I don't want to taste your soup!" Katy Gee you still looking for a dresser? Kathy Casto Shafer I saw you looking at dressers the other day.